The hot air is blown in from top to bottom. 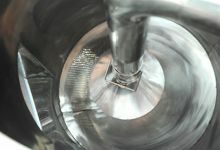 It can preheat the material of the up part when there are materials in the tank. The hot air will dispersedly arise around to improve drying effect by keeping the dry temperature of plastics in the tank balanced. 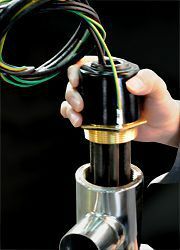 Use three way valve to realize to switch between air suction pipes to achieve two-stage conveying. 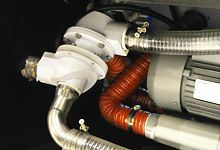 Ensure that there is no material left in pipe after every time of material suction to smooth next time of material suction. Made of stainless steel of high quality and be filled with magnesium powder imported from America. 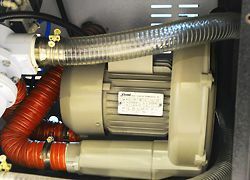 High pressure blower; the power source of material conveying. 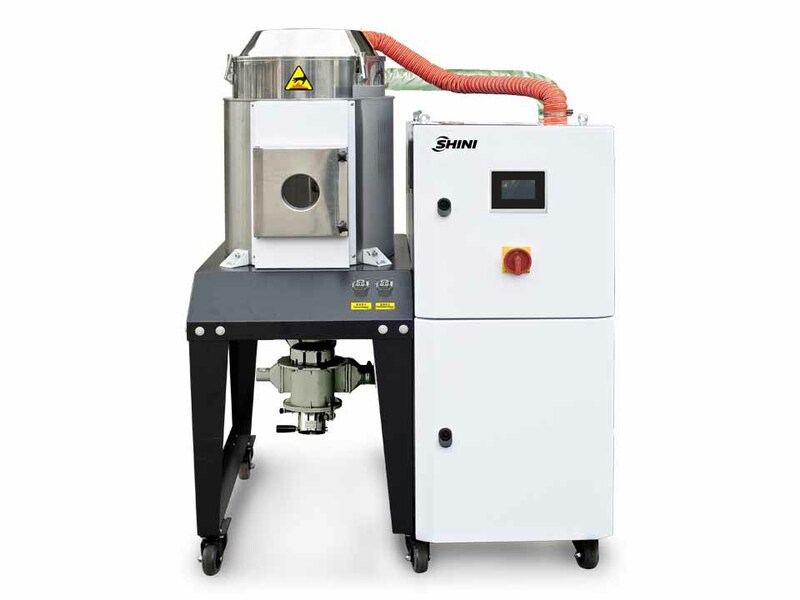 SDL-U series of drying loaders combine conventional hot air drying and two-stage conveying functions into a compact unit. It is particularly suitable for using with the big tonnage moulding machines when height restriction is concerned at the workshop. 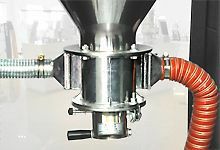 The SDL-U series has a unique function of two-stage conveyingf that can transport both raw material to its own drying hopper and dried material to the moulding machine.